My novelette, “The Zealot”, is now available from Review of Australian Fiction as an ebook. Set on the streets of Perth in the tumultuous year of 2001, it’s about a student activist torn between his ideals and his love for his housemate. It’s for anyone who’s ever lived in a share-house, wondered what the meaning of it all is, or that matter, been eighteen years old at some point in their life. You can download it to your smartphone, tablet or computer (epub or kindle) for $2.99; it comes with a story by acclaimed writer Ryan O’Neill. I’ve been working on this piece, on and off, since 2002, and I’d be so glad if you read it. You might want to subscribe to RAF – $12.99 for six issues. Publishing this piece brings a long saga to an end. After I finished The Fur, I wanted to write a short, punchy novel about the activist scene in Perth, with the energy and anarchy of Fight Club (the film and the novel). I was in too much of a hurry, and too eager to saddle my characters with my (then) ideologies. I went through years of rewrites. In retrospect, I’m glad the novel I wrote wasn’t published, as heartbreaking as it was. I came back to it in December, and with new eyes I saw what was redeemable in it. I cut out 80% of the novel, leaving just the parts written through the perspective of Leo, who hadn’t been the protagonist. I did one more rewrite, feeling a new clarity about what I now wanted to say and do. I felt I’d learned so much about narrative and structure in the intervening years. What has emerged is a 12,000 word novelette, with not a gram of fat on it. My unpublished second novel was commended in the SPCKA Young Christian Writer’s Awards last week. It’s an award for fiction or nonfiction with Christian themes by an Australian under 30. A wrap up of the shortlists and winners of SPCKA awards this year can be found here – http://spcka.org.au/2009ACBOYSouvenirRGB.pdf . I wonder about showing drafts of things. I love getting feedback, but I also sense that by the time this book finally gets published, everyone near to me who’s expressed interest in it is going to be suffering fatigue and won’t be able to read it. The best reader is my friend with a bad memory for whom it’s totally fresh each time. 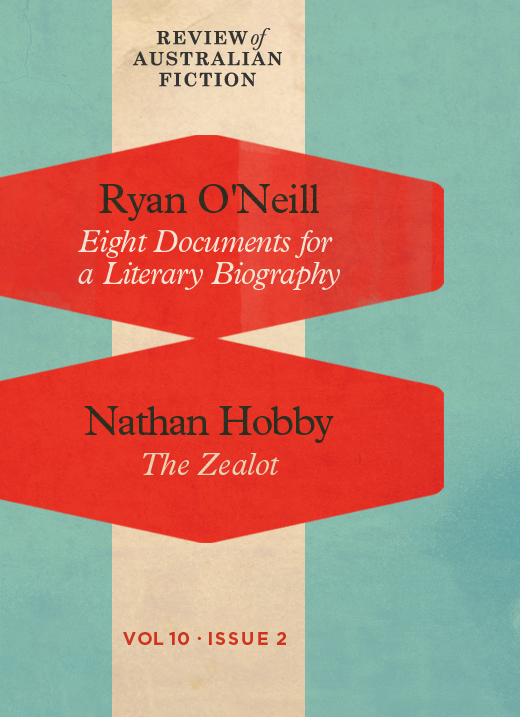 I’ll be reading from House of Zealots at Cottonmouth on Thursday 11 December – Rosemount Hotel 8pm. I think dialogue based sections of novels sound best for readings, so I’m currently working out which section of dialogue is the very best.